Orris & Sandalwood? I love both those notes. This might be amazing! Of course, it’s Jo Malone. Does that mean it’s simply a literal translation of the two notes? And if it were, is that so bad? There was only one way to get to the bottom of it, and that was to sample. Perfumer Pierre Negrin developed Orris & Sandalwood. 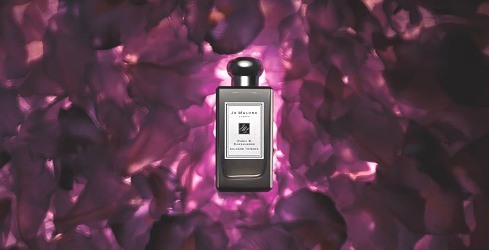 The Jo Malone site lists its notes simply as orris, sandalwood and amber. It doesn’t take a genius to add jasmine and vanilla to that list — and black pepper. Lots of it. Frankly, I’m not sure why they didn’t just call it Pepper & Orris and get it over with. First, an aside. For those of you new to fragrance, “orris” is iris, and I think it’s one of perfume’s most magical notes. Real orris butter comes from macerated iris rhizomes. It’s fiendishly expensive.1 In some towns, you could probably trade a kilo of aged Florentine orris for a house. In perfume, iris is a shapeshifter and can be fruity, powdery, rooty, glamorous, soothing, or moody. As a solifore, it can come off as more thought-provoking than emotional. Think Serge Lutens Iris Silver Mist or Chanel No. 19. As supporting cast, it elevates Chanel Cuir de Russie from saddle bag to aristocrat and adds the backbone to the otherwise “pastry chef special” that is Guerlain L’Heure Bleue. Orris & Sandalwood goes on with a blast of pepper and lots of fresh iris. To me, the pepper is a little overwhelming, but the iris is more than welcome. The iris’s earthiness is matched by a hum of jasmine for a bewitching alto-soprano harmony. Sandalwood begins to soften the fragrance’s edges, although it doesn’t entirely succeed against the onslaught of pepper. After half an hour, the pepper calms, and for a brief time I smell the balance of iris and sandalwood. Then, the topaz-like glimmer of amber rises, tinted with vanilla, and what once smelled like sandalwood could now be a more generic two-by-four brushed with amber. The iris now smells fruitier, less like pure iris and more like a blend of iris and violet. After a few hours, the iris and violet disappear, and Orris & Sandalwood fades to a gentle woody amber. All in all, it’s a nice fragrance, but it has stiff competition on the perfume shelves, especially at its price. For instance, I’d take the less expensive Prada Infusion d’Iris Absolue over it any day, and even the bargain-priced, if fruitier, Yves Rocher Iris Noir might win votes. That said, I’d happily sit next to anyone on the bus wearing Orris & Sandalwood. My guess is that Orris & Sandalwood will be a terrific bridge to other iris fragrances for the perfume shopper who hasn’t wandered beyond the pleasant, welcoming Jo Malone in-store boutiques. But once they’ve drained their bottles, a whole world of amazing iris fragrances beckons. Jo Malone Orris & Sandalwood Cologne Intense is $170 for 100 ml. It’s available at fine department stores. 1 Ed note: If you're new to fragrance, you should also know that traditionally-processed orris root is expensive, but orris root processed using modern methods is cheaper and faster to produce, and not all fragrances listing orris / iris as a note include real orris butter anyway. This sounds lovely. With my super limited access to Jo Malone I won’t sample it any time soon but I will try if I have a chance. I’d love to know what you think of it! Travel safely. I wore Yves Rocher Iris Noir this past weekend (fater forgetting I had a bottle for nearly 4 years!). It’s a nice fragrance. Never gets any love, but it’s a keeper. And such a bargain, too. I need to dig out my mini. PS: The best orris-sandalwood is Annick Goutal Heure Exquise! I wore it on my wedding day. I love that fragrance! It lasts all day, too. A lovely choice for a wedding. You might love it–I do. Exactly, and you can get AG Heure Exquise for WAY less than $170. I am so looking forward to trying this one, I may blind buy it in April. You can sit next to me on bus Angela! I didn’t expect to like this, but who knows? Right day, right time…its been in heavy rotation since I bought it the week it hit the counters. I go right past the pepper and onto the rooty earthiness. I appreciate this review, I have never been a fan of anything from this line. I have tried the sea salt one, blackberry one, honeysuckle one.. and got a bunch of samples from BG’s once that I passed on…then I gave up on the line. Oh well. I am a sucker for sandalwood.. Staying warm during this rainy day in alahine and a cup of jasmine green tea. Enjoy your Monday Angela. Alahine plus rain plus jasmine green tea equals heaven. Nice! Thanks for the review Angela. I don’t have a JM counter near me so likely won’t get much a of a chance to sample. But I’m wondering about the fruit aspects of iris. Can you or anyone suggest a fragrance where this is emphasised? The first example that comes to mind for me is the Yves Rocher Iris Noir. I’ll put a little more thinking to this, and maybe someone else with chime in, too. Thanks, YR is not distributed where I live. See below for the L’Occitane suggestion. Do you have that brand nearby? Hi Annemarie, how about Atelier’s Silver Iris?, it’s really fruity, one of my absolute favourite’s. Thanks, I was thinking about that one earlier today. I’ll check it out properly. L’Occitane makes Iris Bleu Iris Blanc. It’s quite light and stays fruity all the way through. I like it in warm weather. Great, thanks, i’ll that one a go! Jo Malone had an event for this fragrance a few months ago in our local Neiman Marcus. It was available during Christmas. I have to say, with the last few fragrance releases, I haven’t been impressed. I am now 100% positive that I am not a fan of iris and it is true about the immediate smell of pepper in this fragrance. I have yet to try the new “Herb Line” that just came out, but I am in no hurry. What has happened to my beloved Jo Malone? I wish the Jo Loves line gets in the U.S. soon. Have you seen the ad campaign for the Herb Garden line? I love the photo of the stylish woman in the garden. That said, I’m usually not bowled over by Jo Malone, either. I appreciate the space the line occupies, though. It’s a great way for people to get to know different notes and play with them. And–what? You don’t like iris? Yes, I have seen the picture. I like it. Don’t get me wrong, I am the biggest Jo Malone fan, but lately, the newest scents don’t agree with me. And yes, I have tried to like iris. It is a scrubber on me. On me, it just smells horrible! Well, there are lots of wonderful scents out there other than iris, thank goodness! I’m eager to see what Jo Loves has to offer, too. I tried it a couple of weeks ago and found it very sharp – I now realise it may have been the pepper. I’ll give it another go, as I have many iris fragrances, but most of them make quite a statement. I wouldn’t mind one that is more casual. I found the pepper to be intrusive, at least at the beginning. I hadn’t thought of it that way, but, yes, I guess Orris & Sandalwood is more casual than some iris fragrances! It sounds like it’s a keeper for you! To me, the pepper was super peppery–too much so to be an aspect of something else. But I could be wrong. I’v liked quite a few Cologne Intenses, Oud & Bergamot, Incense & Cedrat, and this one too – but not yet shelled out for any!